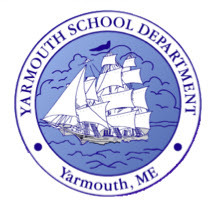 I am pleased to announce that, earlier today, the U.S. Department of Education informed us that Yarmouth Elementary School will be recognized as a National Blue Ribbon School for 2018. Principal Ryan Gleason and representatives of Y.E.S. will travel to Washington, DC in November for the annual recognition ceremony where Y.E.S. will be presented with a National Blue Ribbon School plaque and flag as symbols of its achievements. Additional information about the Blue Ribbon Schools program may be found at https://nationalblueribbonschools.ed.gov/. You may also view U.S. Education Secretary Devos’ announcement of this year’s Blue Ribbon Schools – look for Y.E.S. about 7 and a half minutes into the slideshow.